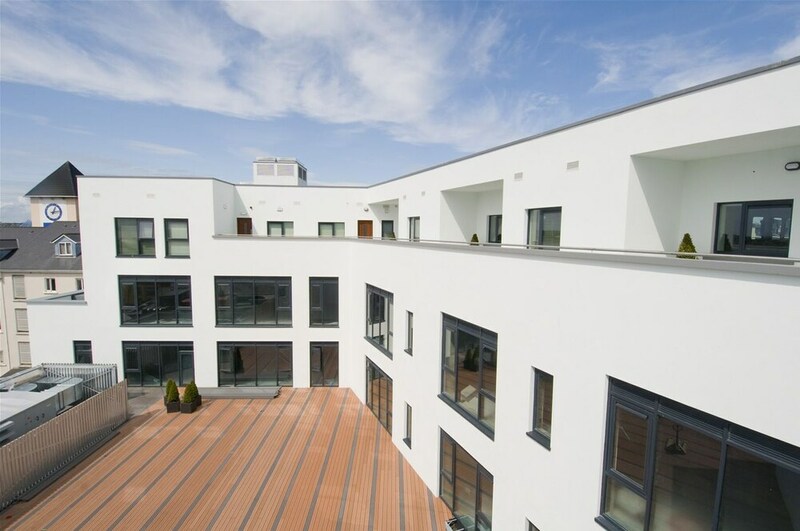 Located in Galway City Centre, this apartment building is within a 5-minute walk of Galway Tours and Eyre Square. National University of Ireland-Galway and University Hospital Galway are also within 1 mile (2 km). Galway Station is only a 4-minute walk. This apartment building features a restaurant, a bar/lounge and laundry facilities. Free WiFi in public areas and free self parking are also provided. Additionally, a 24-hour front desk and tour/ticket assistance are on-site. Each apartment boasts a fireplace and offers free WiFi and a kitchen. Guests can appreciate conveniences, such as a washer/dryer and a living room, and other amenities include a dining area and cable TV. The apartment offers a restaurant. A bar/lounge is on site where guests can unwind with a drink. Wireless Internet access is complimentary. This business-friendly apartment also offers tour or ticket assistance, laundry facilities and discounted use of a nearby fitness facility. Limited complimentary on-site parking is available on a first-come, first-served basis. Citypoint Apartments has designated areas for smoking. The Western Restaurant – This restaurant serves breakfast, lunch and dinner. Guests can enjoy drinks at the bar. Reservations are required. Open daily. Check-in for this property is based at a different location, The Western Hotel, 33 Prospect Hill. For more details, please contact the office using the information on the reservation confirmation received after booking. Additional policies and fees may apply when booking more than 3 rooms. Guests will receive an email with special terms and conditions. For more details, please contact the property using the information on the reservation confirmation received after booking.